The best things in life can be free. 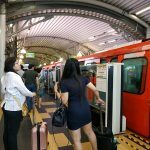 If you go around in certain parks, there are people who are conducting classes for free without any charges. It is a passionate desire to help others. Many of these exercises are helpful in healing, pain management and promoting better health. 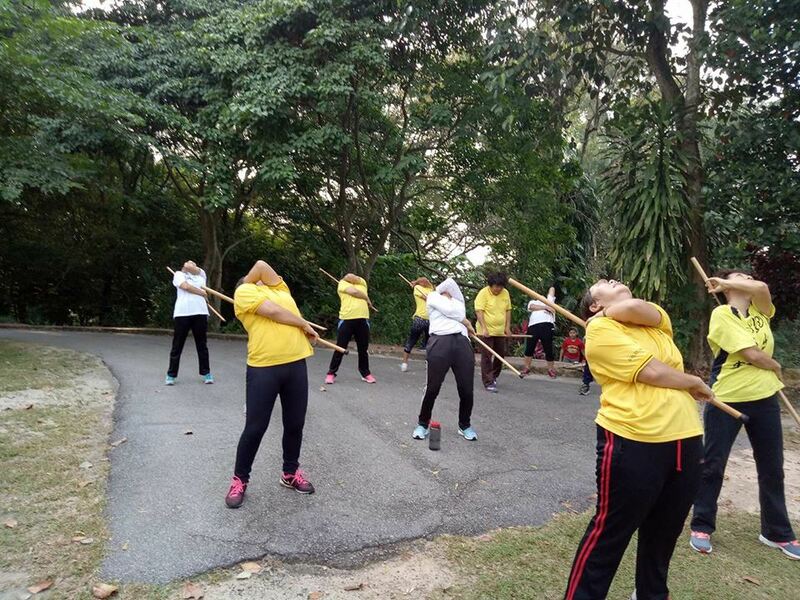 If you are staying in Penang, do you know there are cane exercises being conducted? 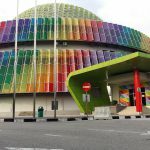 I first know about cane exercise through my mom and her retired friends who attend the class in SS3 every Wednesday at the Dewan Serbaguna. 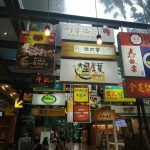 In fact, I tried it firsthand when the founder came from Taiwan to demonstate. After doing the exercises, I was very tired. Because when beating with the cane, you would release toxins held in your muscles back into the blood stream to be dispersed via sweat and urine. The first few times the person may feel like that but after a while, the feelings would go off. With practice, you would find your joints and muscles more nimble and the pain would be gone. Not to mention that each time when you do the exercise, you would really work out a good sweat. 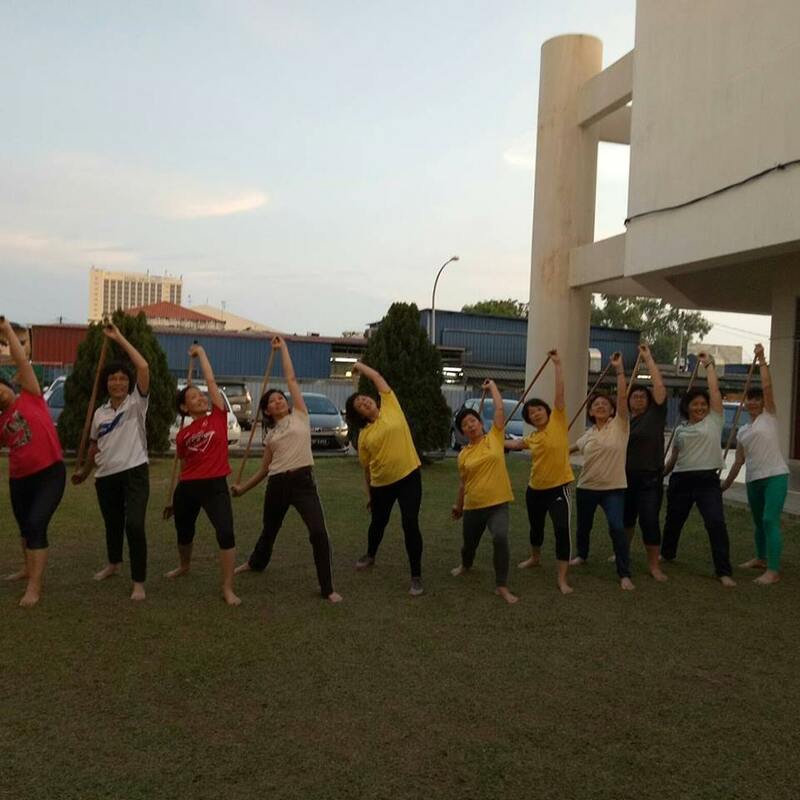 This exercise was founded by a lady in Taiwan, who after being involved in an accident, was told that she could never walk again. However, she could not afford to be paralyzed as she is the sole breadwinner of the family. At first, she went into depression. Then, with her knowledge in meridian points, she started taking some broomsticks around her house and hitting and rubbing certain points with the sticks. After some time, she managed to heal herself. Today, not only she could walk, she is very strong and helps many people through teaching them cane exercise. Cane exercises can definitely help those who have stiff & painful joints and starting to develop mobility issues. Prevention is better than cure. 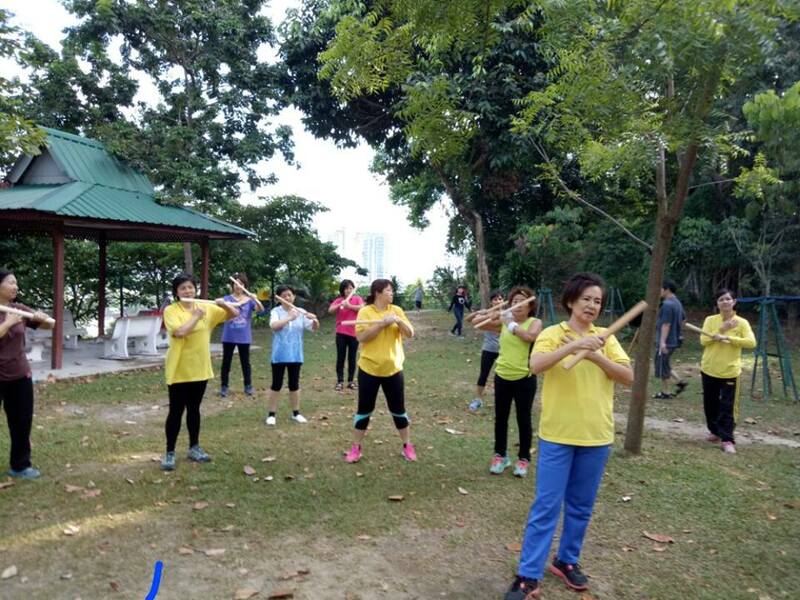 In Penang, there is a lady who is very passionate about cane exercise and is currently conducting classes at certain parks. Her name is Jessie and she contacted me after reading about my posts in cane exercises when there were first published. 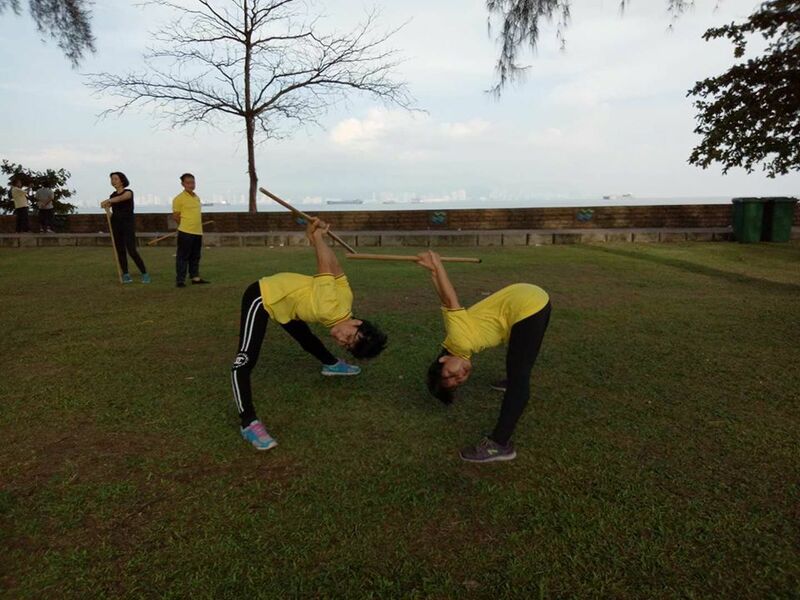 Here are the article where she has invited Master Yong and Master Teoh to Penang to demonstrate and share more on the cane exercise. 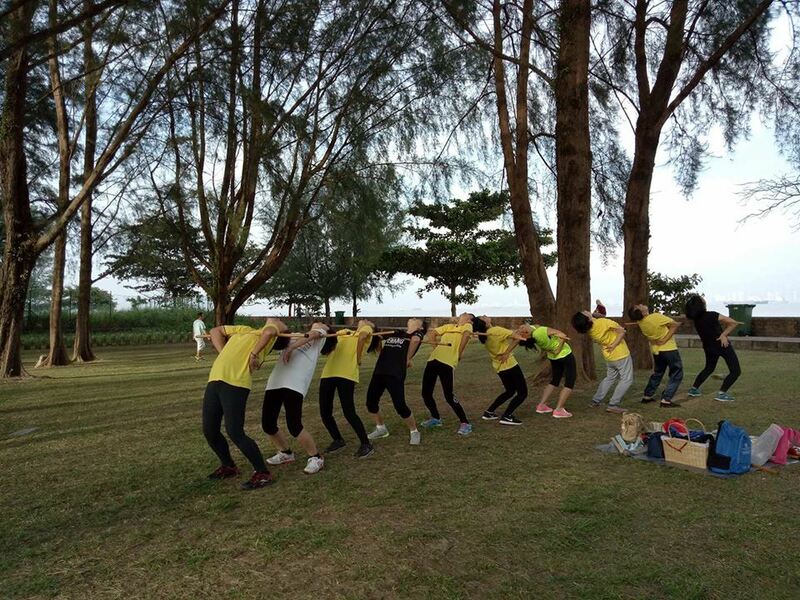 Tuesday 6pm to 7:30 pm Chai Leng Park at church ground next to Seaview food court . Wed/Friday/Sunday : 7:30am_9am at Robina Park. Thursday : 7am_8am Pantai Bersih New Bridge. Jessie herself conducted classes on Tuesdays, Saturdays & Sundays. For other days, she has someone who is helping her out to conduct the class. Basically, if you wish to join the cane exercise, you would need to purchase the cane which is very reasonably priced. The cane is very durable and until today, I am still using it to hit on my lower back and other part of my muscles that are tight or have pain. Hope this article would help you or your loved ones who you know are suffering from joint stiffness and pain.